With the recent energy suppliers’ price increases, have a look at fixed price energy tariffs. When you sign up to a fixed energy plan, it means you are offered a fixed price for your energy for a period of time of minimum 12 months. Because it is a fixed price energy is a fixed price, you then get the re-assurance that the price you pay for your energy will not vary for the whole duration of your plan. Fixed price energy tariffs are not the cheapest tariffs available; however they are still 10-15% cheaper than a Standard energy tariff so there are significant savings to be made! Find out more about fixed price energy in our guide below. See if it is the good option for you, if you are likely to save money with a fixed price plan and find out what to do when your fixed price contract ends. Also, learn the difference between a fixed price tariff and a capped tariff. Do not forget to read the terms and conditions of your energy supplier’s fixed price energy plan before you sign up to it. If energy prices fall, you should be able to switch from your fixed price energy plan to a cheaper variable rate before the end of your contract. However, you usually have to pay a termination fee for cancelling your contract. Therefore, work out if the energy price fall is worth paying the termination fee. If that fee is too expensive, wait until the end of your contract. What should I do when my fixed price energy plan ends? The end date of your energy fixed price energy tariff is on your contract. You may also contact your supplier to know that date. Even if you don’t, you should receive a letter from your supplier announcing the end of your contract about a month before that date. Before the end of your contract, start looking at new tariffs you could switch to as most providers will move you onto their Standard tariff. As you know, Standard tariffs are expensive and there are cheaper deals available for you to switch to. Your supplier may offer you the chance to fix your energy prices again and you might consider going for a fixed price energy plan again. What is the difference between a fixed price energy tariff and a capped price energy plan? ⚡ A fixed price energy plan will guarantee that you pay an agreed price for a set period of time. fixed price energy plan guarantee you pay an agreed price for a year. ⚡ A capped price energy plan will ensure that you do not pay more than a set price for a set period. You may pay less than this and you will also benefit from any reductions in energy prices made by your energy supplier. A capped price energy plan ensures you do not pay more than a set price. You may pay less and benefit from any reductions in energy prices. Whiteboard Friday, our Energy Expert Guy Thompson, puts on the geeky glasses and explains the differences between variable and fixed energy tariffs. Our energy guide helps you compare prices. 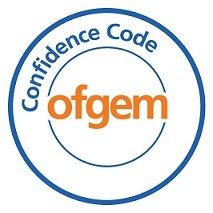 MyUtilityGenius is fully accredited by OFGEM Confidence Code. The Confidence Code is a Code of Practice that governs independent energy price comparison sites. Using a site with the Confidence Code certification mark means that the process of switching energy supplier is easy, reliable, impartial and reassuring for you.